floats. Trust the best in the Industry. Trust Marvel Schebler. ONE CARBURETOR. ONE FLOAT. ONE BRAND. When it comes to your carburetors, there is really only one choice. 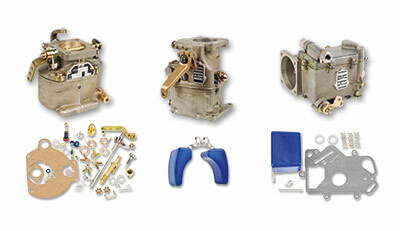 The one aircraft carburetor that’s been with us since the beginning, the only one with innovative solid floats, aircraft carburetors from Marvel Schebler®! We are committed to providing our customers with the best carburetors in the industry. . As the only manufacturer of MSA carburetors, Marvel Schebler provides airframe and engine manufactures, and the flying community with a complete line of new, rebuilt and overhauled carburetors. Marvel Schebler supplies the complete line of repair kits and parts, along with all manuals and engineering technical support. We are consistently working on innovations to make your aviation experiences safer. Our commitment to excellence means we provide the aviation industry with cost effective products of the highest quality and performance and unmatched customer service. Whenever you are in need of a new, rebuilt, or overhauled carburetor, Marvel Schebler® is there for you. . Our customer service personnel are happy to talk to you and go the extra mile to ensure that your aircraft carburetor needs are met. Give us a call to learn how we can help you.